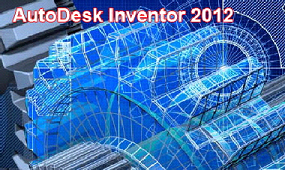 Our Inventor 2012 Training covers many essential aspects of the Inventor 2012 application. This instructor led training has 25 hours of training. The course will show you how to leverage the software to perform 3D mechanical design, product simulation, tooling creation, and design communication. Your training will begin with an overview of drawing and editing concepts, covering basic and advanced topics including getting started in the application, working with assemblies, creating and editing parts, iFeatures, iLogic, and advanced techniques for sketching, constraints and modeling. This training course is the best choice for AutoDesk Inventor software users who want to go beyond 3D, teaching you the skills that can help you design, visualize, and simulate your products before they are built. Our training offers a step-by-step approach through the course. In addition, you may practice along on your own software as the project files used by your instructor are included for your convenience.